As SharePoint is becoming the main collaboration tool for more and more enterprises around the world, users need to have access to SharePoint anywhere, anytime for any device. 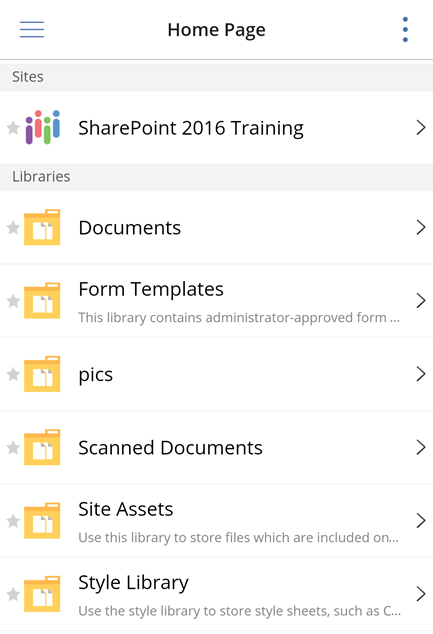 While SharePoint 2016 with the new SharePoint mobile app offers a better mobile experience than before, user experience is still meet Enterprise requirements. Furthermore, changing a company culture of uploading files to SharePoint instead of sending them as email attachments is still really tough. With a big need from enterprises, and a rich partner ecosystem, some Microsoft Partners stepped up and created some very interesting applications. In this post, we will talk about a new offering from harmon.ie called harmon.ie One which is a bundle of their Outlook Add-on as well as their popular mobile application and of course, some pretty cool enhancements! The first part of the new harmon.ie One bundle is the Outlook Add-in that allows users to interact with SharePoint directly from Outlook. The add-in is deployed in a user’s Outlook client and is displayed as a sidebar in Outlook. After connecting the relevant SharePoint sites, users can view, open and even drag and drop documents to upload them into SharePoint. Also, users can drag and drop documents from the sidebar, to their new email, and a link to the document will automatically be included in the email. This way, everyone will view the latest document, and make edits to the same document. It’s also easier than sending it as an attachment, which means your users will see SharePoint as something that increases productivity, rather than something they have to do because you force them to! 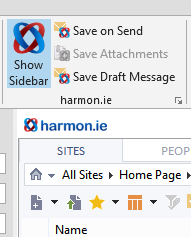 The Outlook harmon.ie add-on also allows you to collaborate on the most common type of document, which are emails. When composing a new email, you can save the email into a SharePoint library after sending it, and you can also Save the Draft Message. This way, multiple persons could look at it and modify it, before you send it. 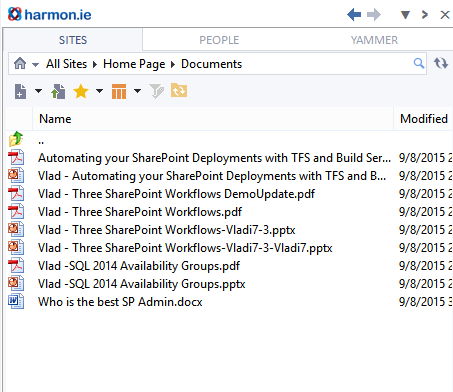 I know this is a high level overview, if you want to learn more about the Outlook Add-in from harmon.ie you can check out my initial review on it which goes more in depth here as well as a review that focuses on how to manage emails on SharePoint here. Let’s talk about what is new in harmon.ie compared to the reviews I did in the past! First of all, the new harmon.ie package introduces an Office Add-in that will work not only in the Outlook client, but in Outlook On the Web (Outlook Web Access). 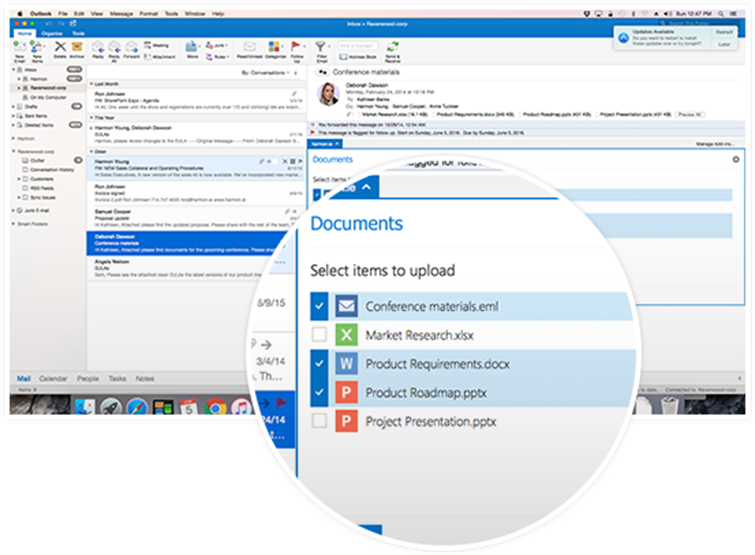 The Outlook App also now works on the Apple Mac, so whatever device your users are using, they will be able to benefit from harmon.ie and become more productive at work. 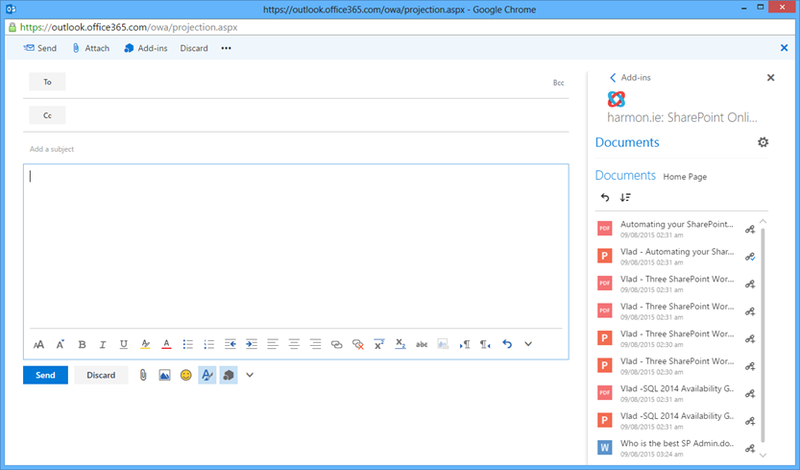 Furthermore, the new harmon.ie Outlook Add-on also comes with Office 365 Groups integration, allowing you to collaborate on Group files, directly from the harmon.ie Sidebar. The other part of the new harmon.ie bundle is the popular harmon.ie mobile app that is available for both Android and iOS devices. 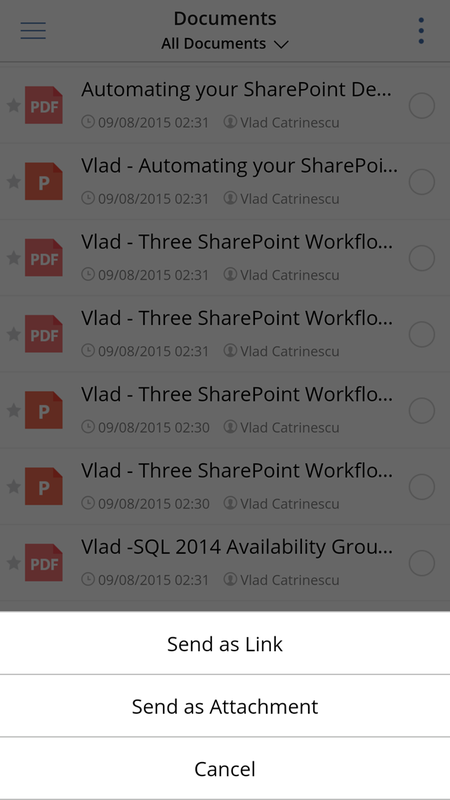 The app allows business users to access SharePoint documents and lists directly from their mobile device, wherever they are in the world. You can navigate to Document Libraries and view the documents, as well as E-Mails and of course view all the metadata associated with the document. 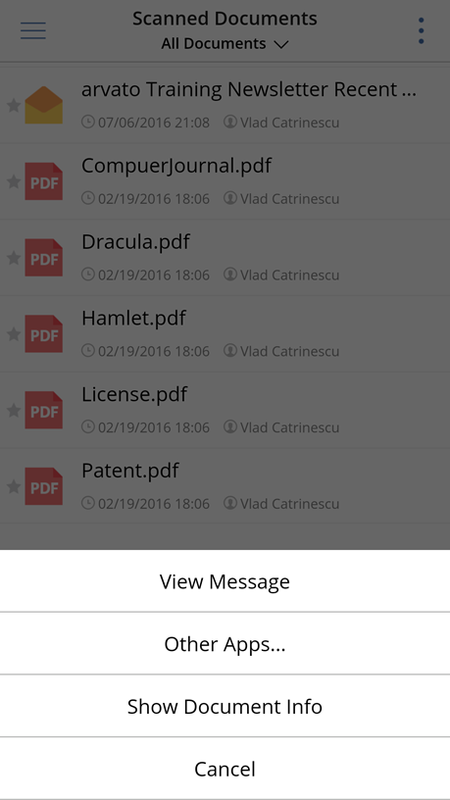 You can also select documents to send either as attachments, or only the link by email to your colleagues. Those are the basic features of the harmon.ie mobile app. If you want to go more in detail about what the app can do, you can view a more in-depth review I did only on the mobile app over here. So what’s new since the review? 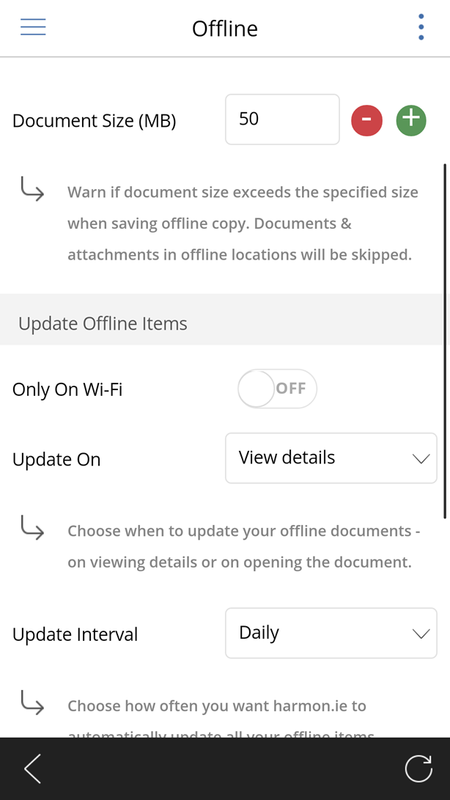 harmon.ie now allows you to save documents offline on your mobile device, so you can be productive even when you do not have an internet connection, and sync those documents back to SharePoint when you connect back to the Internet. The harmon.ie mobile app now also allows you to upload photos you have on your mobile device, or take a new photo and upload it to a library. This is very useful for workers that are on the road and need to report something, or keep track of pieces, road work, etc. 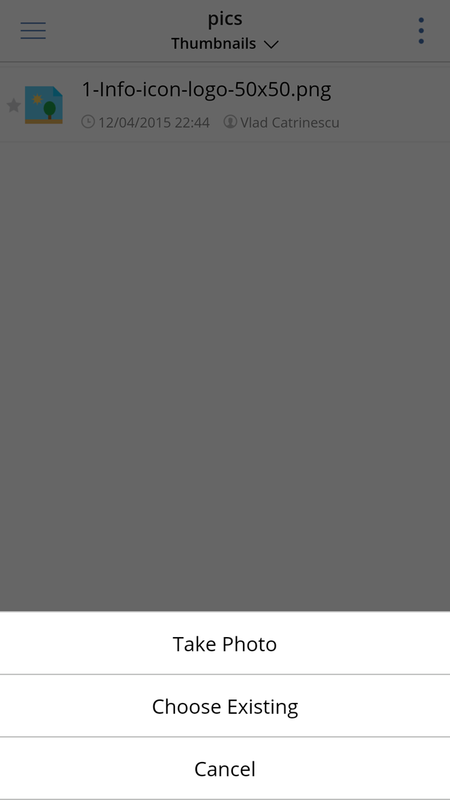 harmon.ie’s new offering includes it’s two most popular products which are the Outlook Add-in for SharePoint as well as the harmon.ie mobile applications. As I reviewed them in the past, I did not want to re-copy the exact same review here, but if you want to know more about each product specifically, feel free to read the three reviews linked in the blog post. Having played and used both tools myself for a while, I think that both those products are excellent and make me use SharePoint so much more, because they make it easy for me to use it. By creating the new ‘harmon.ie One’ bundle, users have the same experience and tools, whether they are working on their computer in their office, or on an iPad on the plane, and that will definitely increase their productivity.